Hollow Coves deliver an earthy folk sound, meshing acoustic melodies and vocal harmonies. Matt Carins and Ryan Henderson take turns delivering lyrics of reflection, frequently harmonizing as their voices blend together and complement each other. The band’s passion for travel and observing different shades of the world permeates in their music. After releasing their EP Wanderlust in 2017, the band quickly garnered an international following. Their debut track ‘The Woods’ reached #1 on both Hype Machine and THR's Top TV Songs chart and the EP went on to receive millions of listeners on Spotify. Exploring new countries and writing new songs, Hollow Coves continue to bring their once small acoustic project to more and more people. 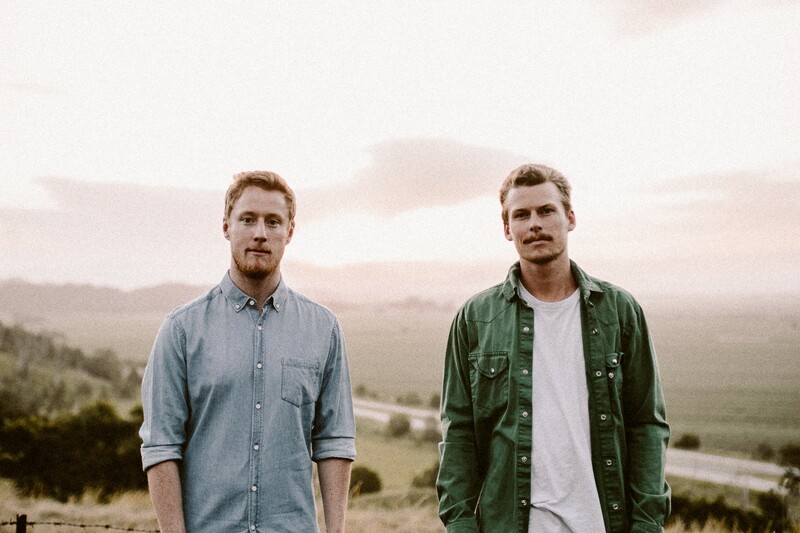 Influenced by the music of Angus and Julia Stone, Ben Howard and Paper Kites, these two Brisbane natives will launch you into their own personal brand of escapism.